Located in the heart of Blue Ridge, this hotel is within 3 mi (5 km) of Chattahoochee National Forest, Blue Ridge Lake Marina, and Blue Ridge Scenic Railway. Blue Ridge Community Theater is 2.6 mi (4.2 km) away. 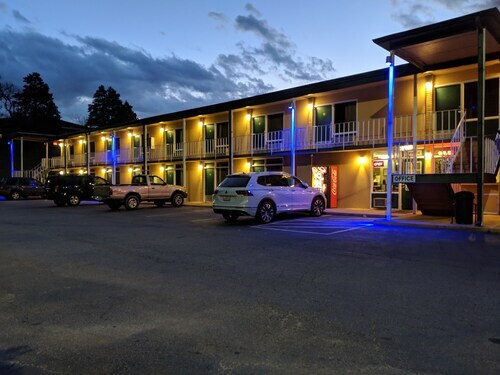 Situated in the mountains, this hotel is 0.8 mi (1.3 km) from Blue Ridge Scenic Railway and within 3 mi (5 km) of Mercier Orchards and Blue Ridge Lake Marina. Tabor House & Civil War Museum is 16.3 mi (26.3 km) away. Situated in Ellijay, this hotel is 1.1 mi (1.7 km) from Pig Hill of Fame and 1.9 mi (3.1 km) from Chattahoochee National Forest. Gilmer County Fairgrounds and Tabor House & Civil War Museum are also within 3 mi (5 km). 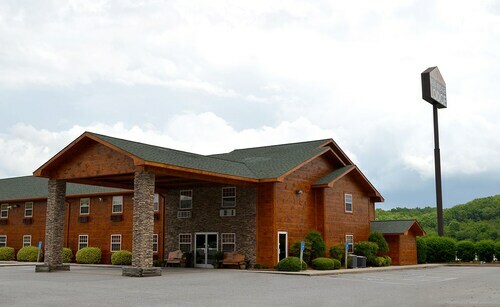 Situated in Ellijay, this hotel is 2 mi (3.3 km) from Gilmer County Fairgrounds and 3 mi (4.9 km) from Chattahoochee National Forest. Pig Hill of Fame is 2.1 mi (3.4 km) away. Situated in Ellijay, this motel is within 1 mi (2 km) of Tabor House & Civil War Museum and Chattahoochee National Forest. Pig Hill of Fame and Gilmer County Fairgrounds are also within 3 mi (5 km). Located in the heart of Ellijay, this motel is within a 10-minute walk of Tabor House & Civil War Museum and Chattahoochee National Forest. Gilmer County Fairgrounds and Pig Hill of Fame are also within 2 mi (3 km). 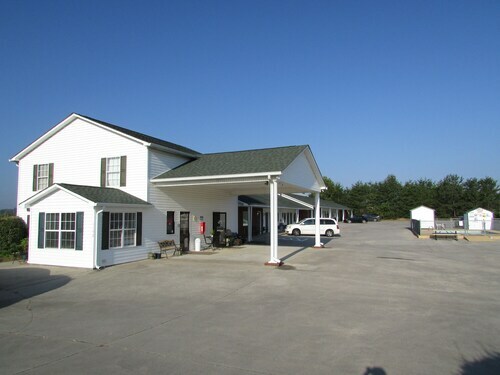 Located in the heart of Ellijay, this motel is within 1 mi (2 km) of Pig Hill of Fame and Chattahoochee National Forest. Gilmer County Fairgrounds and Tabor House & Civil War Museum are also within 2 mi (3 km). Situated in Morganton, this luxury vacation home is 0.1 mi (0.1 km) from Chattahoochee National Forest and within 9 mi (15 km) of Serenberry Vineyards and Morganton Point Recreation Area. Tank Town USA and Blue Ridge Lake Marina are also within 12 mi (20 km). Situated in Blue Ridge, this hotel is within 3 mi (5 km) of Chattahoochee National Forest, Blue Ridge Lake Marina, and Blue Ridge Scenic Railway. Blue Ridge Community Theater is 3 mi (4.8 km) away. How Much is a Hotel Room in Blue Ridge? Hotels in Blue Ridge start at $60 per night. Prices and availability subject to change. Additional terms may apply. Are you researching the best way to spend an adventurous few days in Northwest Georgia? Through Travelocity, you can select from a small range of places to rest up in Blue Ridge. 5 hotels and apartments listed on Travelocity lie within 6-mile (10-kilometer) of the Blue Ridge city center. 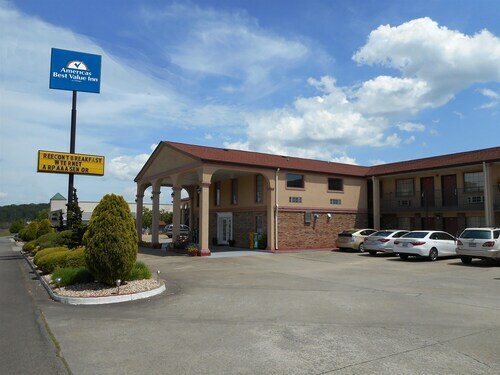 A convenient choice when you want to wake up not far from the city center of Blue Ridge, is the The Blue Ridge Lodge by Comfort Inn & Suites. One of the very few budget-orientated accommodation options in Blue Ridge is the Best Western Mountain View Inn. It's worth checking out the Long Mountain Lodge B&B and the Serenity in the Mountains Spa and Luxury. The Long Mountain Lodge B&B is only 25 miles (38 kilometers) away from central Blue Ridge. The Serenity in the Mountains Spa and Luxury, is just 2 miles (4 kilometers) away. 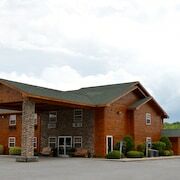 Other hotel options include the The Blue Ridge Lodge by Comfort Inn & Suites and the Stratford Motor Inn East Ellijay. For those who'd like to travel through more of the valleys in this region of United States of America, you could plan a trip in other parts of Northwest Georgia. No matter if you join in with the commonplace local activities, like, for example, hiking, shore fishing and wake boarding, or would rather tour around to see the offerings, you'll be able to easily find excellent Travelocity-registered rooms in the local area. 60 miles (98 kilometers) away from Blue Ridge, you can reach Kennesaw, which is where you can explore Kennesaw State University and Town Center at Cobb. The Residence Inn by Marriott Kennesaw\Town Center and Embassy Suites Atlanta - Kennesaw Town Center are just a handful of the great apartment and hotel alternatives in Kennesaw. 55 miles (89 kilometers) to the southwest of Blue Ridge, you will find Cartersville, which features the Hilton Garden Inn Cartersville and Fairfield Inn & Suites by Marriott Cartersville. If you visit Cartersville, make your way to the Red Top Mountain State Park and Etowah Indian Mounds State Park. Chattanooga Metropolitan Airport is a primary gateway for air travel, and is 50 miles (82 kilometers) away from downtown Blue Ridge. Conveniently located hotel options are Residence Inn Marriott Hamilton and Homewood Suites by Hilton Chattanooga - Hamilton Place. Clean, well kept. Walls were a little thin, and could hear others/tv in another room. Beautiful location and well placed to site see the area. Great service, clean rooms and good coffee. Wonderful views and great staff. We really enjoyed staying there. Very convenient to a lot of restaurants and shopping. 3.0 Convenient to town. Pet friendly. Hotel was in transition to new owner. Staff were making every effort to accommodate. Our room needed new beds and linens. The room was clean and allowed our pets. Price seemed high for condition of the room. Come here every time I'm in Blueridge to shop , train ride. Stayed here now 5 times .Always the best atmosphere. Ultimate Couples Getaway! Mins to Downtown BR! Toccoa River Frontage!